In a competitive field of thriving European economies, Cyprus still manages to stand out from the crowd. The island has continued its 3000-year legacy as a haven for traders, building a modern reputation for innovative businesses, tourism and global trade. There are myriad reasons why you might want to invest in Cyprus, be it in property, existing businesses or your own venture. Read below for a breakdown of the history, economy and expectations of businesses in Cyprus, and why it is such an attractive destination for investment. 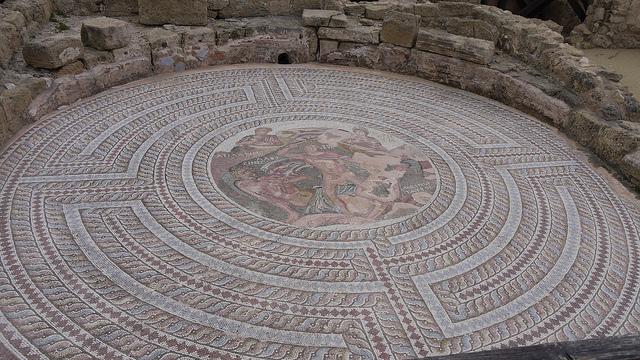 Situated between Greece and Turkey, Cyprus has always been a melting pot of cultures, a place of trade, and a prized war chest for invading armies. Its tactical benefits – the island is considered a prime gateway to Europe, Asia and Africa – eventually led to its fortification in the 16th century, and several hundred years of relative peace. Cyprus was a de jure territory of the Ottoman Empire until the 19th century, when it was gifted to the British Empire, who would eventually seize full control in the First World War. Tensions built between the island’s Greek-Cypriot and Turkish-Cypriot populations, however, leading to Cyprus being granted independence in 1960. This only exacerbated issues, however, and led to several clashes between the two populations. This eventually propagated an invasion by Turkey in 1970, which took control of the northern part of the island. What we now refer to as Cyprus is the southern part of the island encompassing 2/3rds of the total landmass, including major cities Nicosia and Limassol. Cyprus has been stable since the conflict, and has shown an exceptional ability to bounce back from more than one crisis. The island was hard hit by the recent European debt crisis, and also suffered from an enormous explosion at a naval base in 2011, destroying a power station and an entire village. In spite of this, it is now one of the fastest growing nations in Europe. Cyprus had a boom period in the early 21st century, but its banks felt the shockwaves of the Greek financial crisis, causing a recession in 201-13. The Cypriot economy is very much on an upwards trajectory again now, however. Growth has been exceptionally strong since 2015, to the extent that Cyprus ended its €10bn EU bailout early in 2016, having borrowed only €7.3bn. Year-on-year GDP growth is currently at 3.9%, with steady employment and growing exports. The latest report from the EU Commission predicted stated that Cyprus was on course for steady growth, falling unemployment and stable, moderate inflation through 2018 and well into the following year. Having lost an estimated 70% of its wealth-producing resources in the 1970 invasion, the transformation of Cyprus has been remarkable. Businesses have changed tack to invest in Cyprus’ tourism industry; as a result, the services sector now provides an estimated 80% of national GDP, and employs 70% of the local workforce. Property investment in Cyprus has become a substantial growth area in light of the tourism boom, the country’s natural beauty, and its location between continents. The island has also shifted its focus towards innovative businesses, as well as to energy production, having discovered a major natural gas reserve around 2010. Confidence in the Cypriot economy is high, and investments in Cyprus are increasing. The European Investment Bank contributed 352 million to businesses in Cyprus last year, following a similar figure in 2016. Cyprus also ranked first in per capita absorption of Horizon 2020 funding, the EU’s €30 billion R&D funding scheme. To date, over €88 million in R&D has been invested in 325 Cypriot businesses, with €27m designated to nearly a hundred small and medium size businesses. According to Georgiades, this represented a gain of 3 euros for every 1 euro invested by Cypriot businesses. The Cypriot government has also instigated tax incentives for investments in innovative startups, as well as a new Cyprus Startup Visa for non-EU nationals. The criteria for an innovative business have been broadened, while the Startup Visa requires a €50,000 investment and an undergraduate degree or similar qualification. Cyprus is the 40th most popular tourist destination in the world in terms of visitor numbers, but this is largely down to its size, as the country ranks 6th per capita of local population. 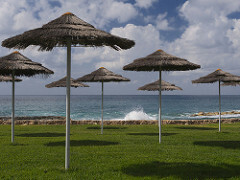 As mentioned above, the tourism industry is the primary means to invest in Cyprus, contributing a majority of the country’s GDP and hiring most of its workers. 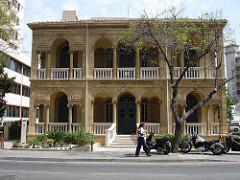 Having recovered from the effects of the debt crisis, Cyprus has rebuilt an unlikely reputation as a centre of European finance and commerce. Its CySEC financial regulator is used by many foreign forex dealers as a route into the European market, and its corporate tax rate is among the lowest in the EU at 12.5%, equal to Ireland. Positioned between Europe, Asia and Africa, Cyprus is a natural hub for much of the world’s trade. Most large shipping companies have offices or manage their fleets from here, and Cyprus itself has the world’s 10th largest registered fleet at over 1000 vessels. A huge reserve of natural gas under the ocean has led to a nascent energy industry. Energy self-reliance has been a primary concern since the 2011 naval base explosion, which destroyed a power plant supplying 50% of the island’s power. 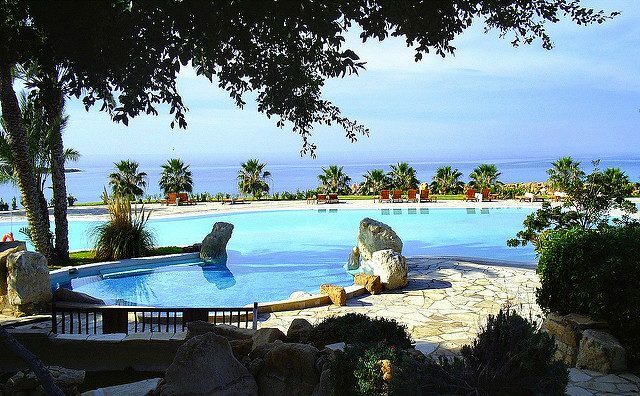 The abundance of sunshine and water has also led businesses to invest in Cyprus’ solar and hydro power concerns. The idyllic nature of Cyprus, its burgeoning tourist industry and its many business headquarters have led to spiralling growth in real estate investments. The booming property market stretches across the island, with investments everywhere from the major towns and cities to the more remote and picturesque villages. The island is large enough to feel isolated without ever being far from civilisation, leading many seeking retreats and holiday homes to invest in Cyprus. The International Monetary fund has praised the Cypriot economy heading into 2018, noting the particular growth of major construction projects as an underlying cause for success. 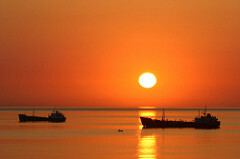 However, they have encouraged the Cypriot government to foster more competition. This is likely to mean further measures designed to bring in foreign businesses and investments. One such measure is the Cypriot Investment Promotion Agency. The agency has sought to support and encourage growth in all of the major industries mentioned above, with a particular focus on investing in the Cypriot energy industry. Coupled with the measures for foreign investment and the R&D success from last year, Cyprus hopes to become the de facto home for innovative energy projects in Europe. It’s also highly likely that Cyprus will benefit from Brexit. As a former British colony, Cyprus still uses a very similar legal framework to that of the UK, making it a highly familiar place to do business for international businesses. It is also one of only two European territories to offer an investment visa scheme, making it the ideal location to continue both business and citizenship within the EU. Cyprus has been a member of the European union since 2004, and a member of the economic Eurozone since 2008. Cyprus’ position in the EU is seen as a major benefit, both for non-EU businesses and those in the UK, who may be looking for an alternate European base after the Brexit vote. Cyprus is particularly notable as being one of two countries in Europe to offer an investment visa, offering a path to citizenship in return for investment and residency in Cyprus. The Cypriot “citizenship by investment” program gives successful applicants a path to permanent citizenship, and with it the right to live, work and study in all member countries of the European Union (EU). The investments must be retained for a minimum of three years, and the investor is expected to purchase a house of at least €500,000 in value. 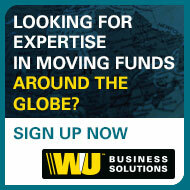 In this case, citizenship can also be extended to the investor’s benefactors, including children, spouses and parents.